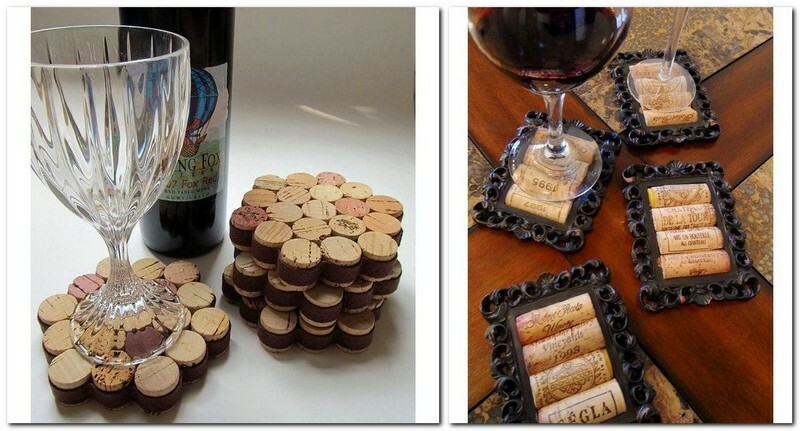 Probably, the most practical option is to make wine cork coasters. They are absolutely heat-resistant and will protect your worktop from heat damage. Such a mat can be easily hand-made. Just glue the corks together and that’s it. To bring a note of diversity, you may cut the corks into equal pieces before gluing.And if you feel like dressing up your cork wood trivet, use a beautiful photo frame. Such coasters are ideal for putting wine glasses and hot tea cups. 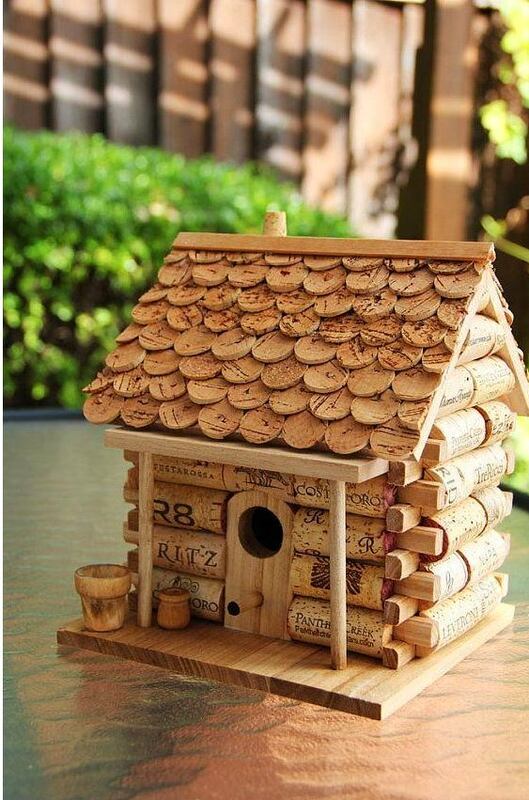 It turns out that wine corks are as practical as they are decorative. 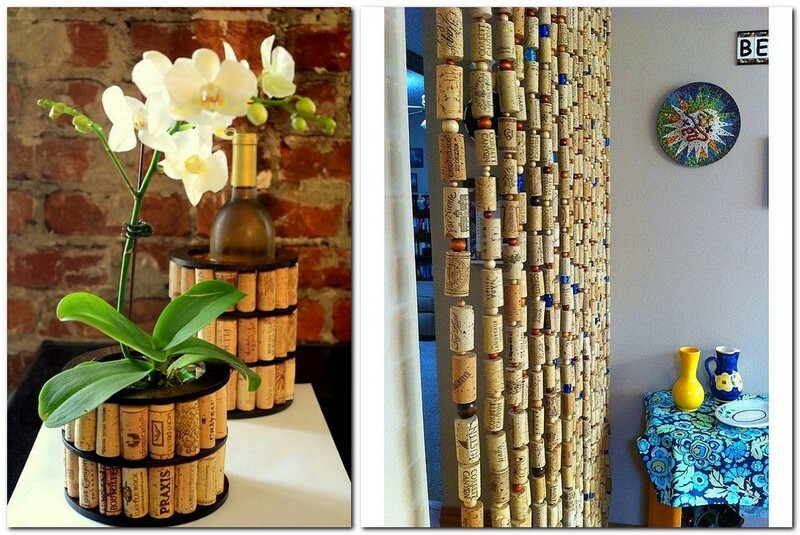 If you have a collection of wine corks, try to arrange them into a composition to get a lovely wall décor piece. To enhance the effect, coat the corks with pearlescent wallpaper lacquer. 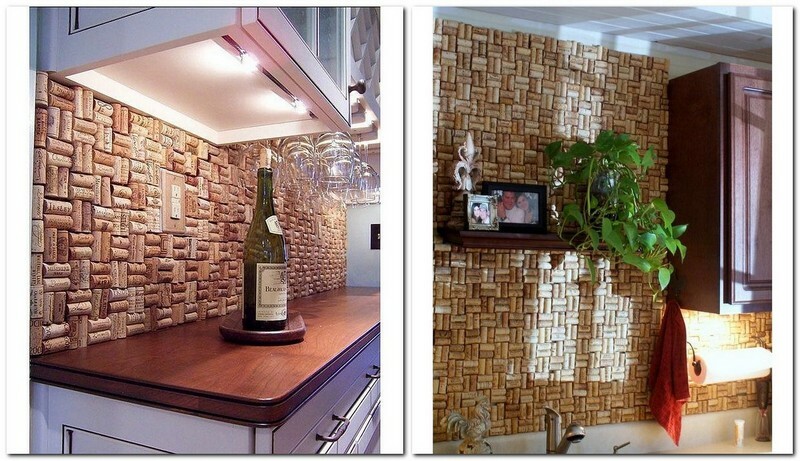 Speaking of walls, some tinkerers create entire backsplashes out of wine corks! Of course, for this purpose you need to collect corks for many years and ask your friends and relatives to join you. 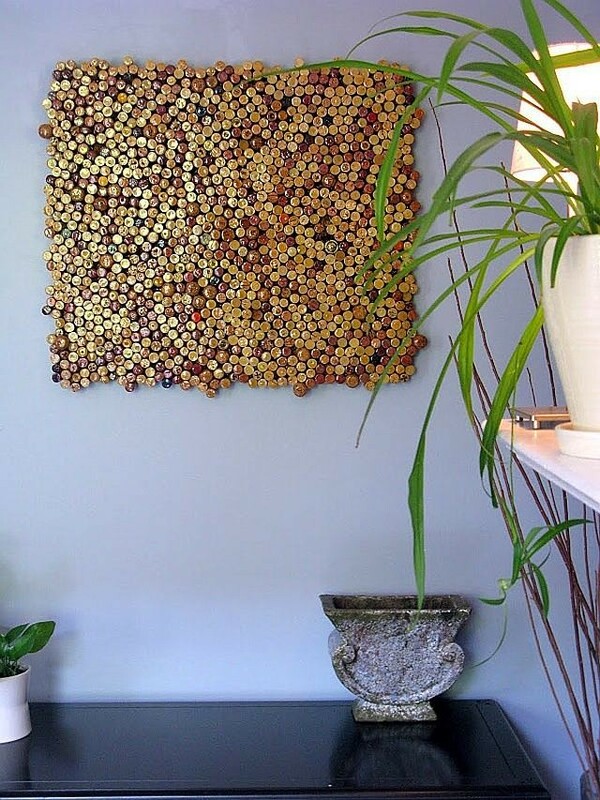 If your wall doesn’t need any additional décor, why not make a wine cork mat. As corkwood is not afraid of high moisture, such a mat can be put it in the bathroom as well. It has warm and gentle texture, eco-friendly and aesthetical. 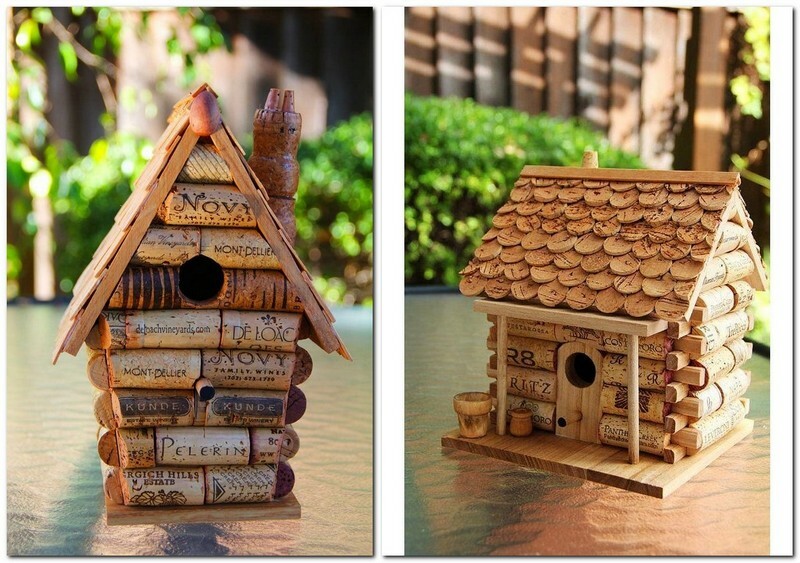 Wine corks are a universal material for handcrafts. For example, they are irreplaceable when you need a practical jewel holder. The technology of making is the same as the coasters’. And as for design, here you can show your creative nature to the fullest extent. Besides, jewel organizers, corks are used for making notice boards. 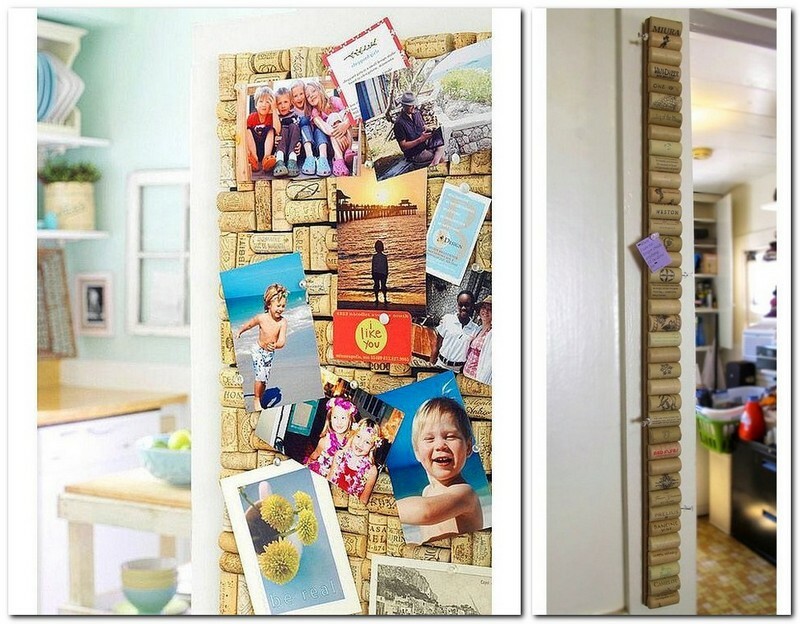 Leave here important notes for your family members or create an inspiration board. Feel free to use multicolor push pins. If your interior style is rustic, shabby chic, Provence, eclectic or the like, decorate it with wonderful wine cork pieces of décor. For instance, dress up your flower pots or make a funny curtain. 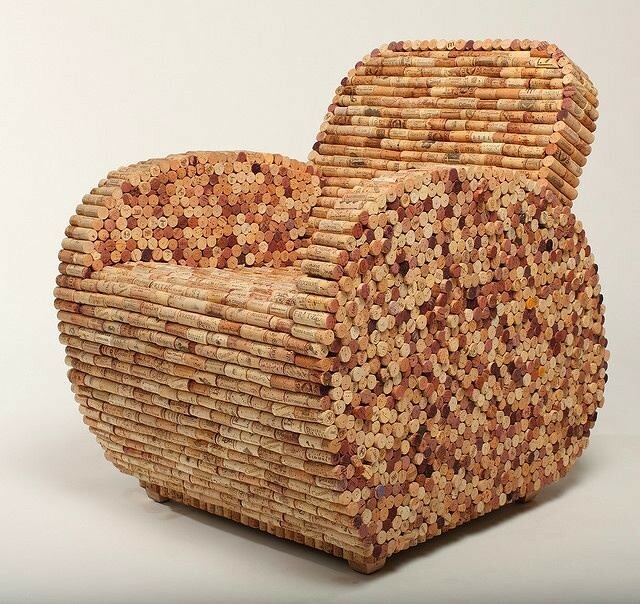 Some tinkerers go further and make absolutely amazing arm-chairs out of wine corks. And even a birdhouse can be made from this material. Just don’t forget to coat it with lacquer to increase its durability. 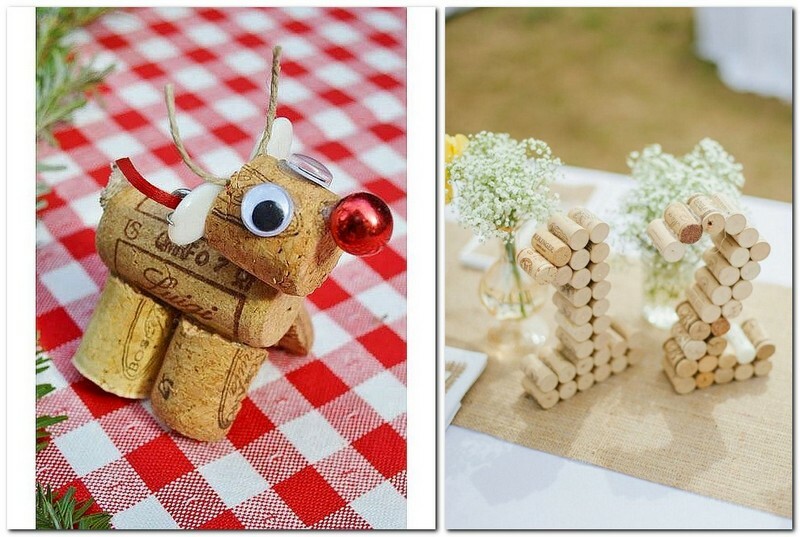 In the hands of a creative person, wine corks can be turned into a lovely piece of décor: a heart for St. Valentine’s Day, a funny Christmas deer or a birthday number. To make this hand-mades you don’t need to be a professional decorator. Just a knife, some glue, wine corks and a nice mood would be enough!